Spread Cilantro Pesto evenly over Flatbread crust. 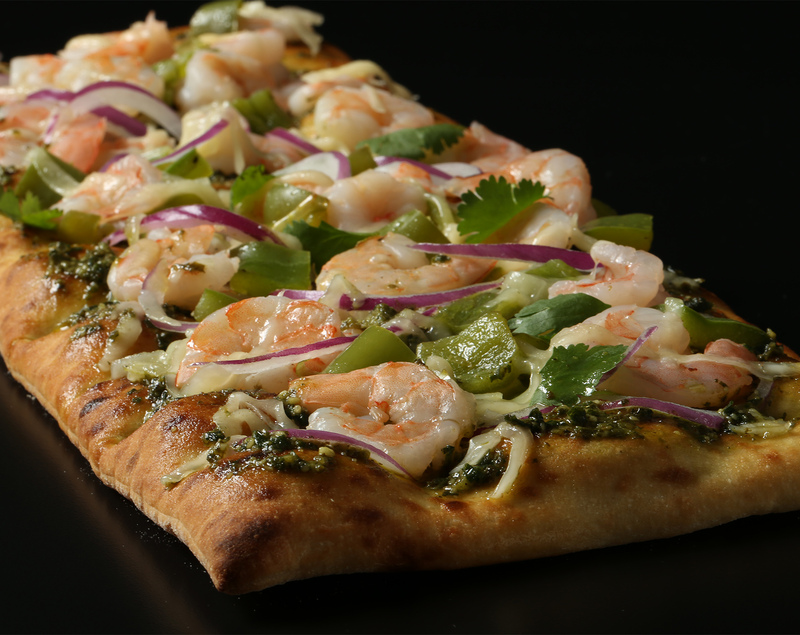 Top with chopped shrimp and diced green chillies, Cheese blend and chopped red onion. Bake at 400 degrees for 10 minutes or until cheese has melted and crust has crisped. Serve hot.